Dr.Marigaux – The undisputed master of twisted blues, gospel shouts and voodoo stomps! The undisputed master of twisted blues, gospel shouts and voodoo stomps! Dr. Marigaux plays twisted, original interpretation of blues and gospel with a searing intensity. 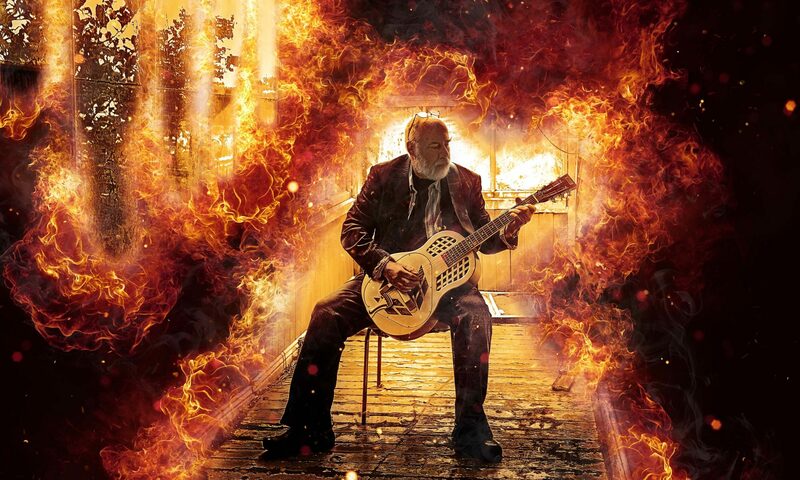 The doc began playing blues back in the 1970s, and nowadays is knocking out audiences around Dunedin with his passionate performances, both as a soloist and as the leader of an eight-piece band. Marigaux’s inspiration comes from Delta Blues, but his take on the genre is unusual and refreshing, transplanting the genre to New Zealand and finding new twists in traditional materials. Whether playing resonator guitar or baritone sax, his performances are full of passion and poetry. His rough vocals range from a gravely bark to an eerie falsetto and tell tales of fast cars, dinosaurs, lost women and Babylon. Recent releases include band albums “Voodoo Soul” and “Grit” and solo album “Son of Dust”. You can also find the video album “Live in an Empty Room” on YouTube. Dr. Marigaux is actually the stage name of film maker and musician Phil Davison, who originally created the Doctor’s character as an animation – until the character took on a real life performing role. This tale is told in the new film “Dealin’ with the Devil” premiering at the 2018 Doc Edge film festival in Auckland and Wellington.